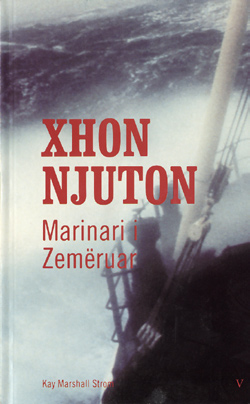 Xhon Njuton e urrente jet�n e tij si marinar. Atij ia dhan� pun�t m� t� ul�ta dhe shpesh oficer�t e rrihnin pa m�shir�. Gjat� k�saj kohe, ai u zem�rua me Per�ndin�. Kjo biografi tregon historin� e mrekullueshme se si njeriu me namin m� t� keq n� marin�n Angleze u kthye tek Per�ndia. Ky lib�r ka shum� dialogje dhe do t� t�rheq� v�mendjen e �do lexuesi, qoft� besimtar ose jo-besimtar. Nga KayMarshallStrom?, 137 faqe, botuar ne shqip nga VernonPublishing ? John Newton hated being a sailor. He was given the worst jobs and beaten mercilously. During this time he directed his anger towards God. This biography tells the miraculous story of how the man with the worst reputation in the English Navy turned to God and eventually became the author of �Amazing Grace.� This book is filled with dialogue and will capture the attention of any reader, believer or unbeliever.